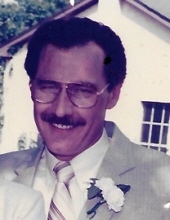 Celebrating the life of George J. DiLullo, Sr.
Obituary for George J. DiLullo, Sr.
George J. DiLullo, Sr. of Collingswood, NJ, died January 19, 2019. He was 74. Beloved husband for 33 years to Stephanie (nee Iannacone) of Collingswood, NJ. Loving father of George DiLullo, Jr. (Michelle) of Neptune City, NJ and Anita DiLullo of Haverhill, MA. Devoted grandfather of Anthony DiLullo. Dear brother of John DiLullo of Lakeland, FL and Lorraine Chudoba of Mt. Holly, NJ. Funeral services and interment private. In lieu of flowers, contributions in his memory may be made to St. Jude Children's Research Hospital 501 St. Jude Place, Memphis, TN 38105. We invite you to share your condolences with the family at schetterfh.com. To send flowers or a remembrance gift to the family of George J. DiLullo, Sr., please visit our Tribute Store. "Email Address" would like to share the life celebration of George J. DiLullo, Sr.. Click on the "link" to go to share a favorite memory or leave a condolence message for the family.